A Rare 1967 Shelby GT500 Super Snake Sells For Record $2.2M! 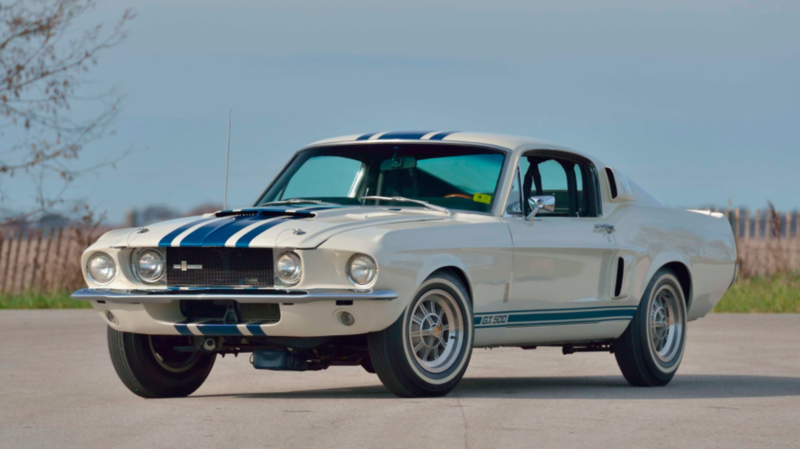 A legendary 1967 Shelby GT500 Super Snake sold for a historic price at the Mecum Auctions event in Kissimmee, Fla., on Friday night when the bidding ended at $2,200,000. That made it the most valuable Mustang ever sold at auction, and with good reason. The 1967 Shelby Mustang GT500 Super Snake was a one of a kind prototype that Carroll Shelby had built for a tire test conducted by Goodyear. He swapped out the GT500’s already powerful 428 cubic-inch V8 for one of the 427 cubic-inch racing V8s from Ford’s Le Mans-winning GT40 and updated the rest of the powertrain and suspension to match. The end result was a Mustang that could hit 170 mph and averaged 142 mph over 500 miles at a high-speed track in Texas where it was running on a set of Goodyear’s new whitewall Thunderbolt economy tires. Initially, the plan was to build 50 of the cars for sale, but at an estimated double the price of a standard GT500 there weren’t enough takers and the sole prototype was sold for just $5,000. And driven for speed. It was used for drag racing, and accumulated 26,000 miles on its odometer while changing hands several times over the years. It’s now been restored close to its original specs with a few period correct parts and what may be the last existing set of Thunderbolt tires, which were located in a warehouse in Akron, Ohio, several years ago. The auction sale shattered the old Mustang record, which was set by this same car at a Mecum auction in 2013, where it went for a mere $1.3 million. Bidding on another prototype Shelby, the ‘Green Hornet’ 1968 EXP 500, reached $1.8 million at an auction in 2013, but fell short of its reserve price. Whoever is the owner of this car owns the “Holy Grail” of Muscle Cars of the Muscle Car Era!